Who wouldn’t like to play in the garden all day? Being outside in the sunshine and fresh air just makes for a happy day. How about being surrounded by all the amazing colors we have to offer. We Really Aren’t Just Another Nursery! Part of what makes Weidner’s a great nursery are the people who work here. Ms. Weidner herself. You’ll usually find her outside talking to people just like you. A life time in the business gives Evelyn lots of good information to share. And, the more she’s around people the more energy and ideas she has. 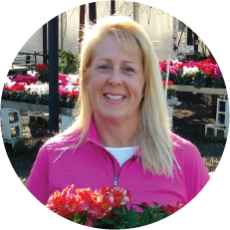 Meet our Head Grower and Production Manager at Weidner’s. His name is Oliver Storm. 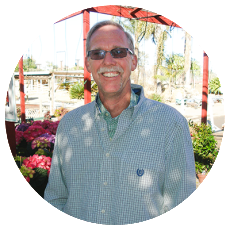 He is the person who makes sure that all of our plants are perfect for you and on time. 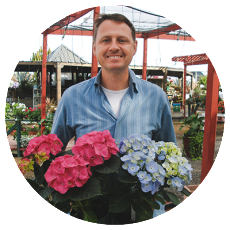 He is the nursery’s general manager, he’s also our wholesale sales manager. Are you a business, a church or organization and want a great deal on poinsettias? Talk to Kalim about our Christmas Business order program A man of many skills. Kalim is always helpful and easy to work with. We’re lucky to have him! We have come to call Sabine the “Succulent Queen”. You can thank her for all the new varieties of succulents you see. She is also the master of our succulent custom combination bowls and baskets you see. 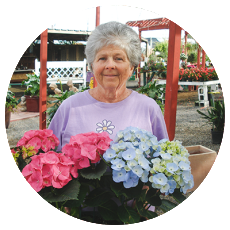 Barb is a certified Horticulturist and Master Nursery Professional who has worked in the San Diego garden and nursery industry for many years. 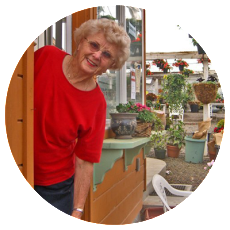 Barb has been a member of several prominent garden clubs during her travels around the United States and is excited to bring those experiences to our garden. 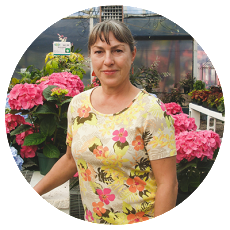 From vegetables, to fruit trees, to annual/perennials, and succulents, Barb is ready to assist in helping you create the garden that you’ve been dreaming about.